New Delhi, April 16: Pay disparity has been a concern in the Hindi film industry, but things are changing, believes Kriti Sanon. The actress says the situation is getting balanced out, with female actors also getting what they deserve monetarily. On male actors being paid more than their female counterparts in films, Kriti told IANS over an e-mail interview: "I've always believed that pay has to be decided on the amount of work that you put in a film and the numbers your films drive at the box office. "The situation is slowly but steadily balancing out where female actors are also getting their monetary due. But we still have a long way to go." Ever since her debut in Bollywood in 2014 with Heropanti, Kriti has done her fair share of women-centric films and roles. She says she feels good when films like Bareilly Ki Barfi, Stree and Raazi do well. Does she see a change in the way women characters are perceived in the film industry? Move Over Malaika Arora, Kriti Sanon's Throwback Picture from Maldives in a Blue Monokini is Too Hot To Handle. "Most definitely," she replied, adding: "It's the best time for women in cinema and we have the audience to thank for that. They have been accepting of stories around female protagonists that are today drawing in figures on par with top male stars." But ultimately, it's the content that matters, she said. "The content has today become the king and the deciding factor, which is great," Kriti said. The 28-year-old's latest biggest money-spinner was Luka Chuppi, a tale about a couple living-in together in Mathura and the complications that follow. The film has managed to cross over Rs 90 crores at the Indian box office. "The box office numbers are encouraging and I'm grateful to the audience," said the actress. She believes the audience is now much more accepting of different subjects that would earlier be considered "taboos". "Our idea wasn't to state that one should go for live-in relationships in general. But yes, we did want to stir the audiences a bit and leave them with the thought that everyone has the right to lead their lives according to their wishes and we shouldn't judge them for that," she said of Luka Chuppi. 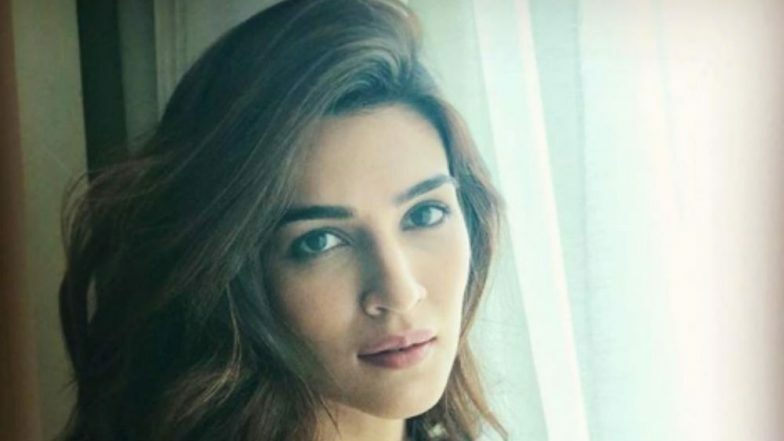 Kriti now has an interesting slate of work, with Arjun Patiala, Panipat and Housefull 4. "I'm in a good space right now in my life where I'm getting to do the kind of work I really want to. All these films belong to different genres and I'm glad I took those decisions in choosing different kinds of roles and films because I feel that's the only way you can grow."